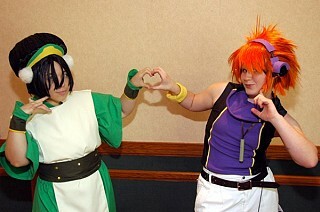 Favorite part was the hardest part - The crazy hair bun! 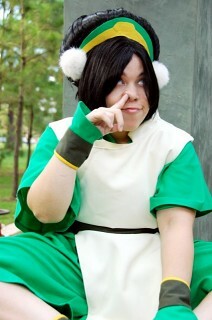 My cosplay of Toph from Avatar the Last Airbender. 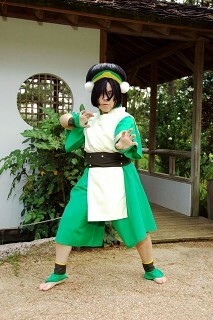 She's a powerful martial artist, yet since she's the young daughter of the Bei Fong family they see her as weak. 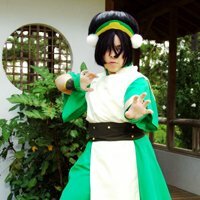 Toph contains an inner strength that comes from her drive to bring out the strength of the earth and regardless of her blindness, this handicap doesn't stop her from striking through the toughest of enemies. 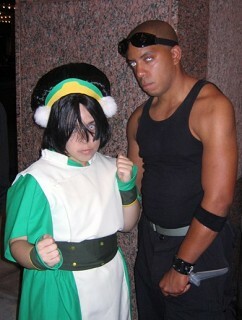 I love these contacts! So spooky. 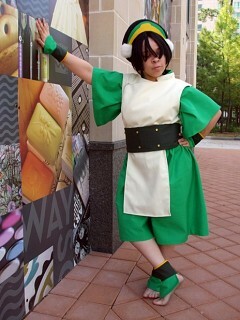 The pants, spats, gloves, and top are made from twill and cheongsam/apron is made from some sort of bizarre poly that I cannot name. It is fully lined. The fluffs at the side of my headpiece are made of bunny fur (I used a hair tie that I had lying around) All patterns were drafted/draped by me. 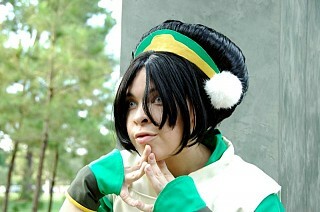 In closing, I want to do a lot more of her costumes! superbabyz999 By the way, that costume is awesome! 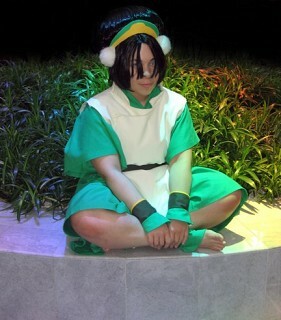 superbabyz999 Could you give me some tips on how to make a toph costume?